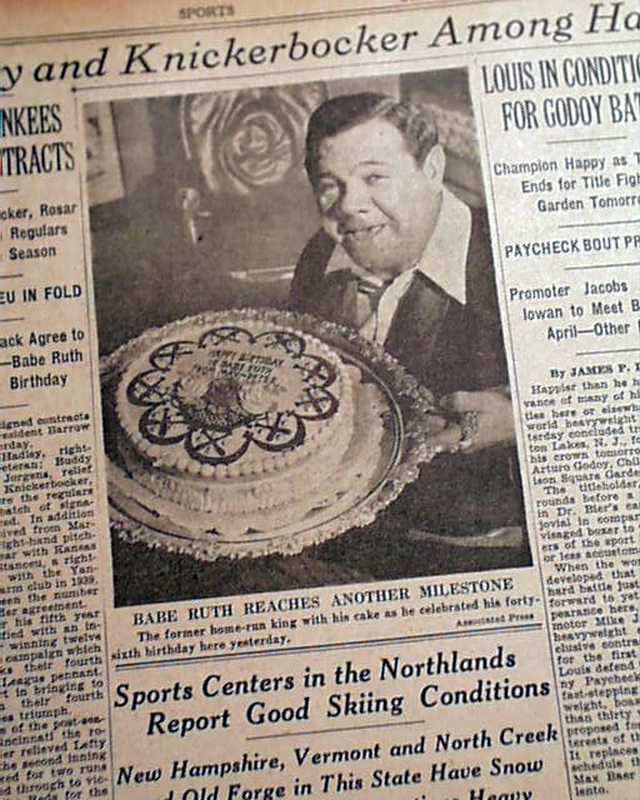 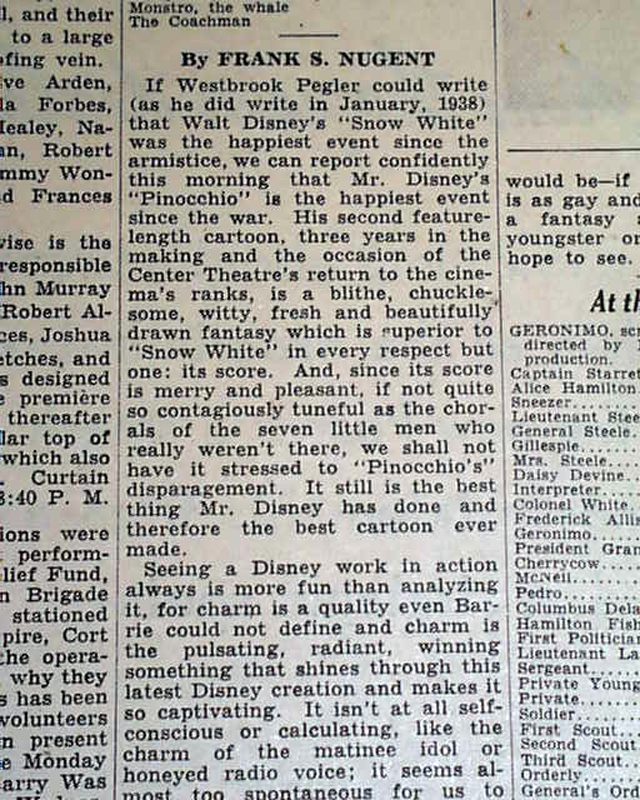 The very favorable review begins: "If Westbrook Pegler could write...that Walt Disney's "Snow White" was the happiest event since the armistice, we can report confidently this morning that Mr. Disney's "Pinocchio" is the happiest event since the war..." with much more (see photos for portions). 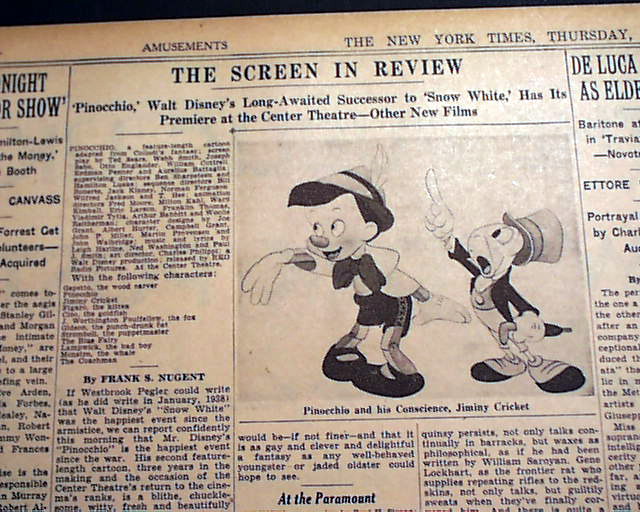 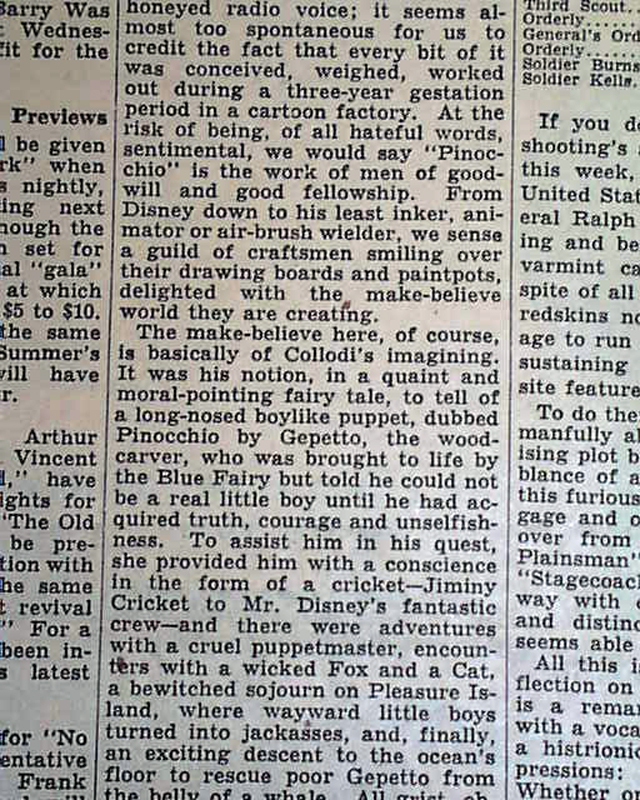 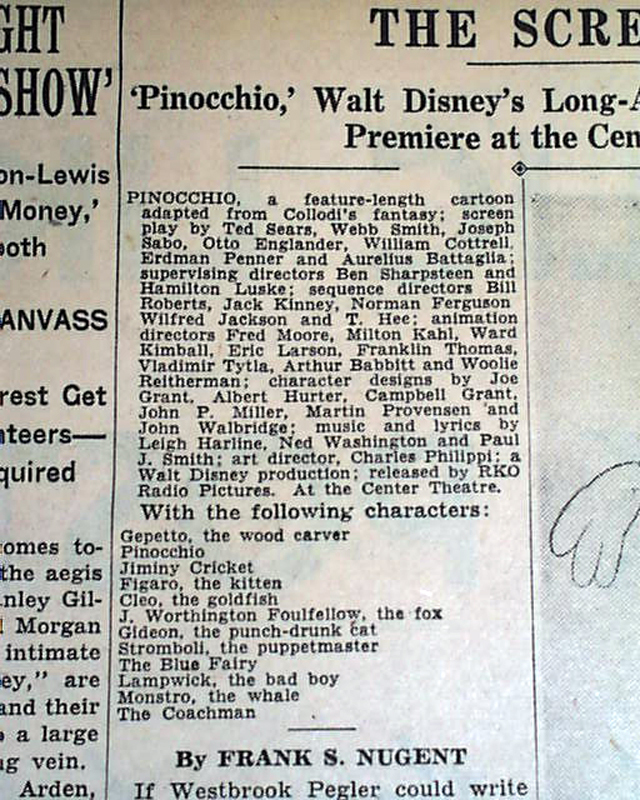 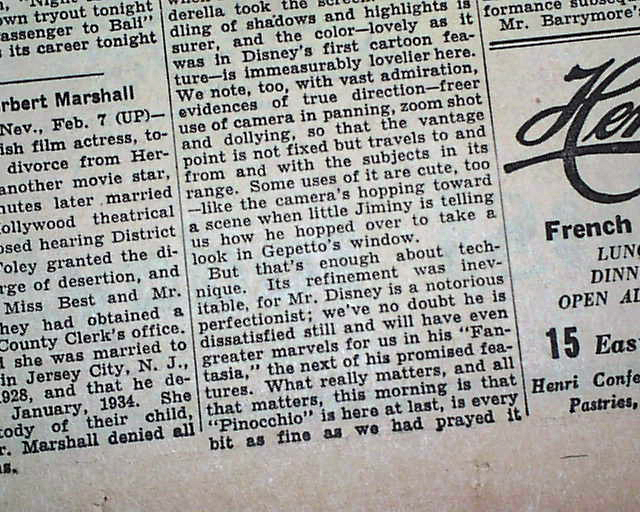 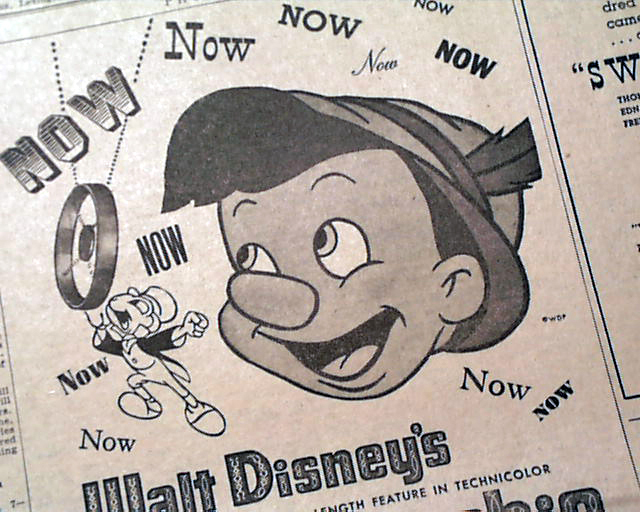 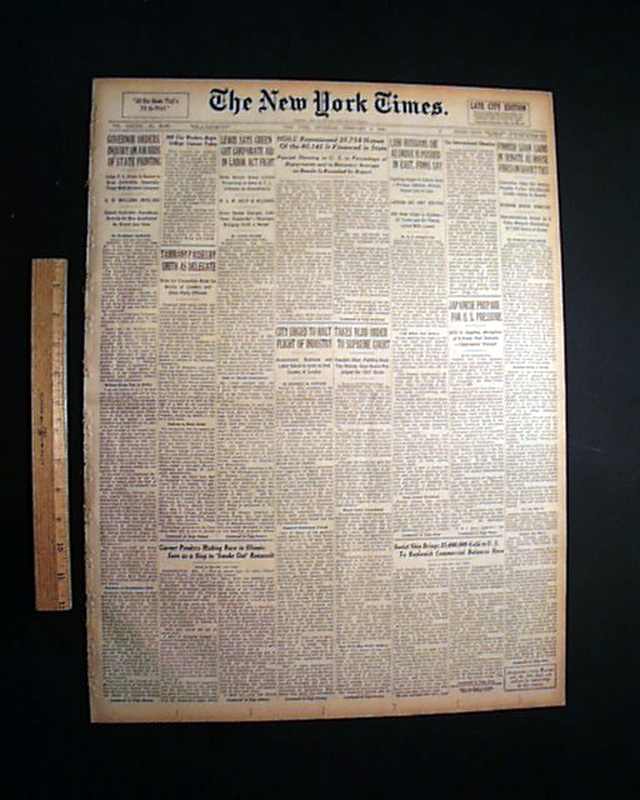 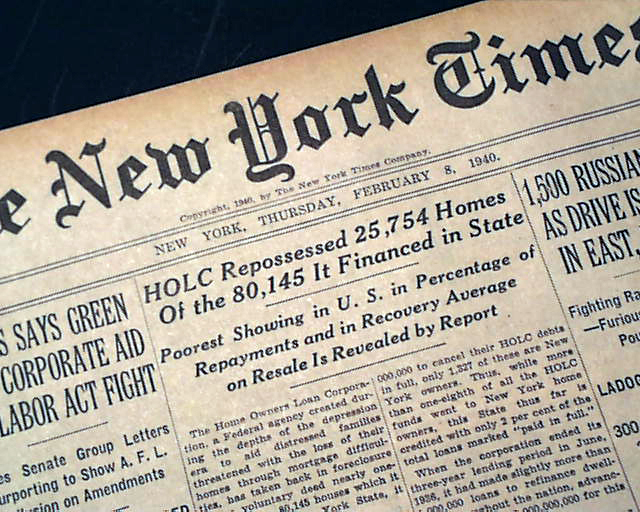 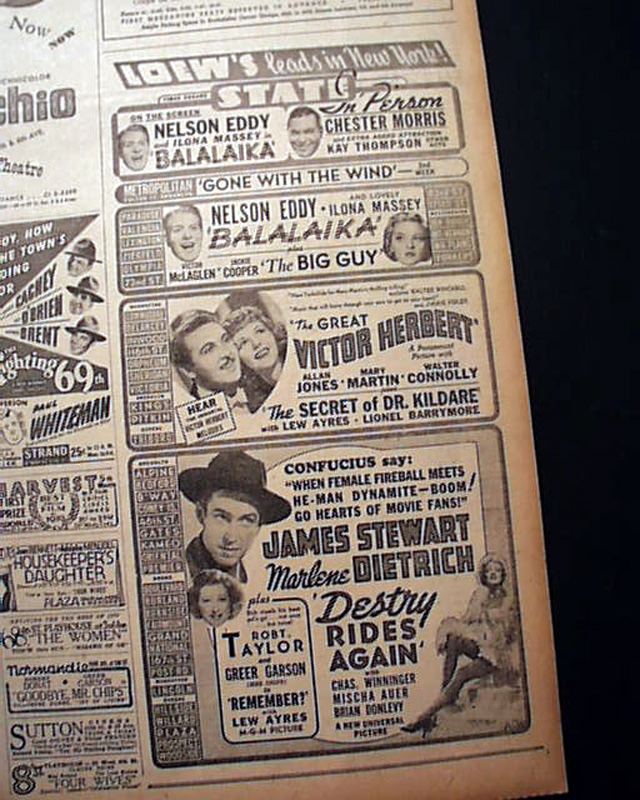 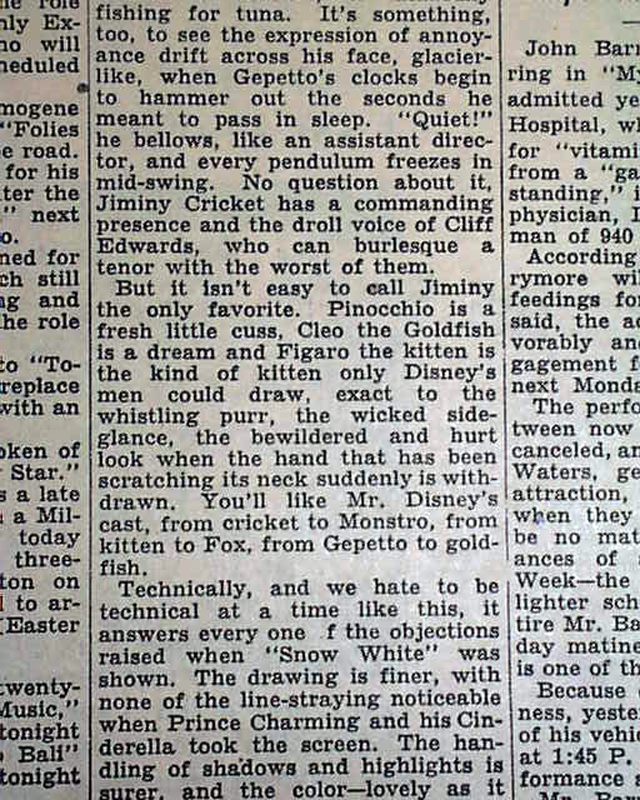 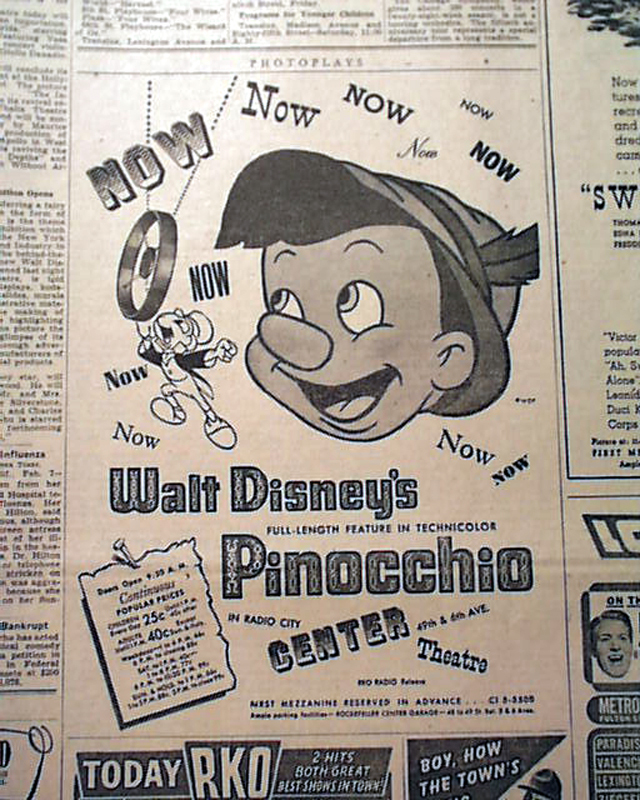 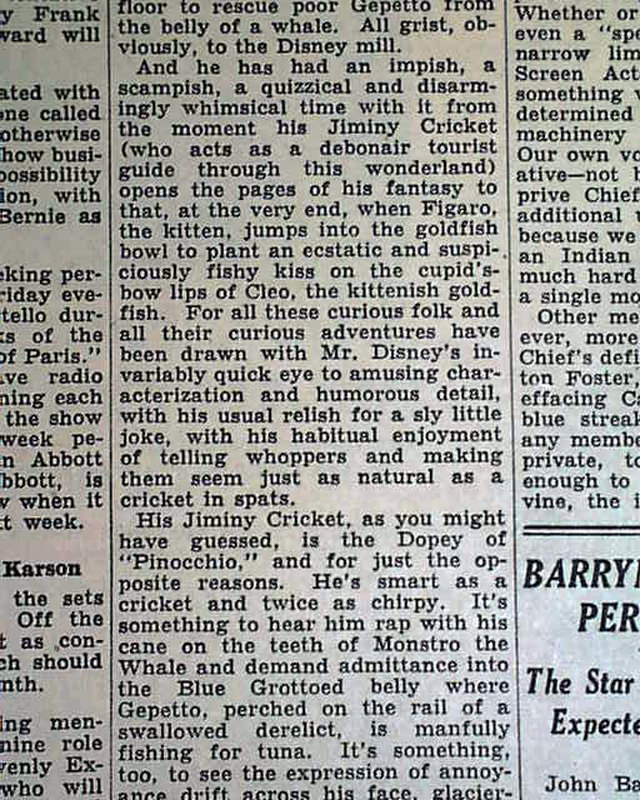 The review includes a two column photo from the movie showing both Pinocchio and Jiminy Cricket. 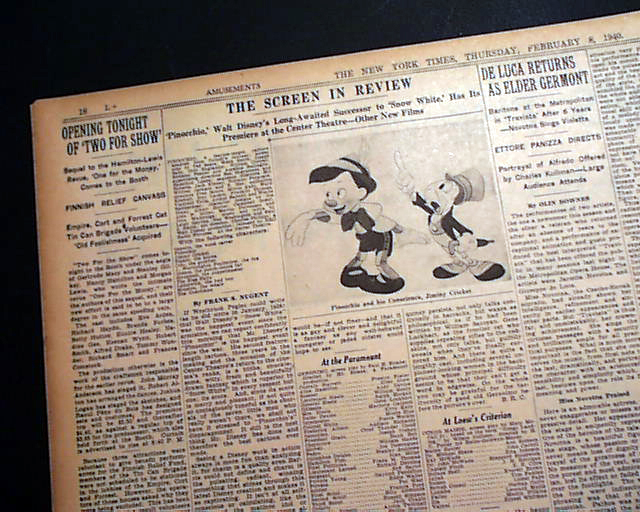 Complete in 44 pages, lightly toned, very nice condition.